Does your dog get car sick? This problem is more complicated than you might think. Here’s how I explained it to a reader. Q: We’re going on a road trip next month. We’d like to bring our dog, but she gets carsick. Do you have any tips to help her be more comfortable? A: Motion sickness is no fun for anyone, including pets. It occurs when the semicircular canals and other parts of the inner ear that control balance become overstimulated. 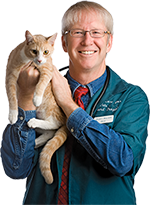 Pets with severe motion sickness can start to experience nausea just at the sight of a car. Luckily, there are several things you can try to help ease your pet’s queasy feeling. For mild signs, offer a couple of gingersnap cookies beforehand (check the ingredient list to make sure they aren’t sweetened with xylitol). Transport the pet on an empty stomach, especially if you’ll be driving all day. Natural supplements such as Anxitane can help relieve signs of anxiety and in turn help to relieve physical signs of motion sickness. Pets with severe motion sickness can benefit from prescription medications such as Cerenia, for nausea, and Xanax, for anxiety. 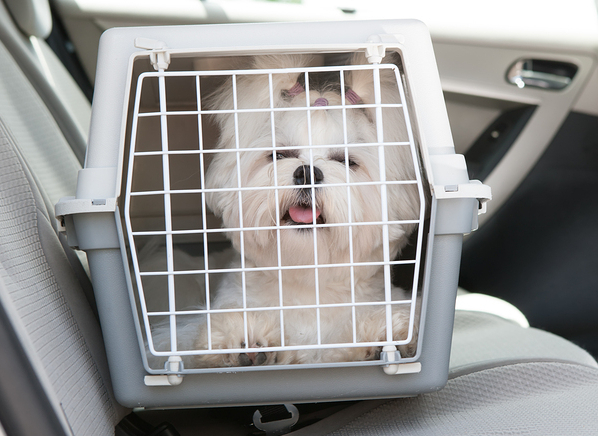 Spritz the car and the carrier with canine calming pheromones, such as Adaptil. For long-term improvement, try desensitization techniques to help her enjoy car rides. Start by doing something she likes near the car, such as playing catch or practicing tricks and getting rewarded. When she’s comfortable being near the car, put treats inside to encourage her to stick her head in or get in on her own. Give more treats and praise. Have your dog be in the car for a couple of minutes while it sits in the driveway. Repeat. When she’s OK with that, start the car, back up and then pull back into the driveway. Then go for a short ride down the street. During each step, give lots of great treats to help her associate the car with good things. Read more, including all about canine cognitive dysfunction, in Pet Connection, the weekly nationally syndicated pet feature I co-write with Kim Campbell Thornton and my daughter, trainer Mikkel Becker.